Banks in Malaysia are pushing fintech development as they seek to harness innovation and technology to improve the financial services. The trend is largely led by the Malaysian central bank, Bank Negara Malaysia (BNM), which has been deploying efforts to modernize the domestic banking industry. In particular, the central bank’s Financial Technology Enabler Group (FTEG) was launched in June 2016 to formulate and enhance regulatory policies to facilitate the adoption of technological innovations in the Malaysian financial services industry. The FTEG is part of BNM’s commitment to support innovations that will improve the quality, efficiency and accessibility of financial services in Malaysia and is comprised of cross functional group within BNM. One of the committee latest efforts is the “Fintech Hacks,” an initiative launched earlier this week that seeks ideas from the public on possible improvements to financial services. It aims to identify pain points in the delivery as well as the consumption of financial services, and solicits ideas using the application of technology to address the gap. Malaysia has been one of the most advanced and favorable jurisdictions in Southeast Asia when it comes to fintech. The nation set up a regulatory sandbox last year to allow startups and banks to experiment with new products and business models in a safe environment. 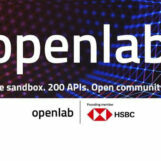 The regulatory sandbox is open to all fintech companies including those without any presence in Malaysia. Addressing the emergence of fintech, Malaysian banks have been gearing up for digital disruption. 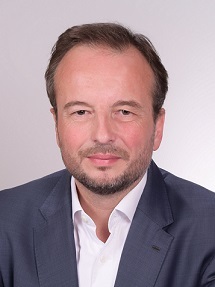 Earlier this month, CIMB Group appointed Olivier Crespin as its chief fintech officer for its newly set up unit, CIMB Fintech, a standalone unit dedicated to explore new and innovative banking solutions. “Its operating model will be agile, dynamic and nimble, in order to provoke, incubate and execute ideas that will either redefine or enhance CIMB’s products and services,” said Zafrul. Malayan Banking Bhd (Maybank), Malaysia’s largest bank by market capitalization, has opted for a different strategy. 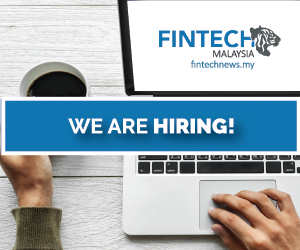 This year, the bank brought back the third installation of its fintech program Maybank Fintech aimed to find the brightest talents and most promising ideas in fintech. Teams selected to join the program gain access to unique partnership opportunities with Maybank. Proposed partnerships with the bank can involve any of Maybank’s business segments and entities operating from any of its regional locations across Asia. Earlier this year, Maybank launched the first digital remittance service in the country. Called Maybank2u, the mobile app was released in partnership with Western Union. Following the lead of Maybank, Hong Leong Bank Berhad (HLB) launched in March HLB LaunchPad, a three-month mentorship program targeted at nurturing the next-generation of promising Malaysian technology and fintech startups. HLB LaunchPad is part of HLB’s collaboration with Malaysia’s official trade association and governing body for angel investors and clubs, the Malaysian Business Angel Network (MBAN). The program also includes the participation of Cradle Fund Sdn Bhd, an early stage funding agency. The program gives five startups the opportunity to be trained by experts and receive mentorship from the bank’s senior management. Each startup receives an allowance of RM25,000 to enhance their product or service offerings. Out of the five startups, one team will be selected and considered for an equity investment of up to RM1 million. This article was first published on fintechnews.sg, Featured image: Bank Negara Malaysia, via http://www.bnm.gov.my.